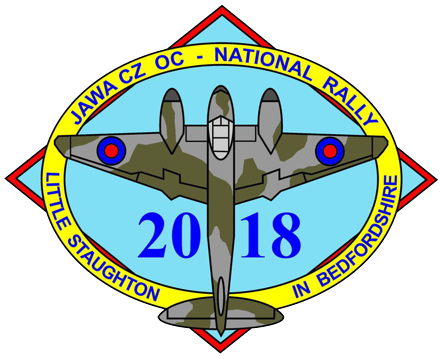 National Rally - 8th to 10th June 2018. We are moving south as there really was nothing better available further north. Hopefully this will also attract more members even if only for a Day visit. The site is family owned and run. It is situated on the North Bedfordshire / Cambridgeshire boarder, offering 65 electric hook-up pitches with plenty of remaining space for non-electric pitches on an eleven acre site. They also have a hard standing area with electric hook-ups ideal for large RV’s. kitchen: 2 large sinks, food prep area and a freezer for your ice blocks, plus 2 x-large cold water sinks. Large well stocked shop & off licence. Dedicated children’s play area and skateboard ramp. Takeaway delivery service (Indian, Chinese, Pizza). Large Rally Field which is where we will be. Price is £12 per night for non-electric pitches, this includes 2 adults in each unit with all children 16 and under free. £15 per unit per night with electric hook-up. We don’t yet know the price of a rally badge but expect it to be around £5 or less. Day visitors at £7. http://www.thecrownstaughton.com/ This does excellent food. The nearest fuel is about 7 miles away, so fill up before arriving. Usual Rules will apply - no open fires, dogs on leads etc... Saturday is the main day. Rally Control will be open from Thursday until Monday. We will be publishing a programme of events which will include a run out maybe to nearby Graffam Water England's third largest reservoir. The Club's AGM will be held during the event, probably Saturday PM. Lots of awards to win and please consider bringing along a RAFFLE PRIZE. There will be plenty of awards to win and please consider to bring along a raffle prize. Site entrance is NOT the shop entrance and it will be signed JAWA CZ OC. AGENDA - Annual General Meeting 2018. 4. Financial Report to be tabled. Questions on finance. 5. Election of Officers: all standing unopposed. 6. Appointment of Officers: all to continue except for International - vote of thanks to Mario Mager. 7. 65th Anniversary Rally 2019 report. Pete Edwards is the Organiser. 9. Items raised at the meeting – for discussion only and future consideration by the Committee. Full information will be in the Torque Issue 4. Pete Edwards.